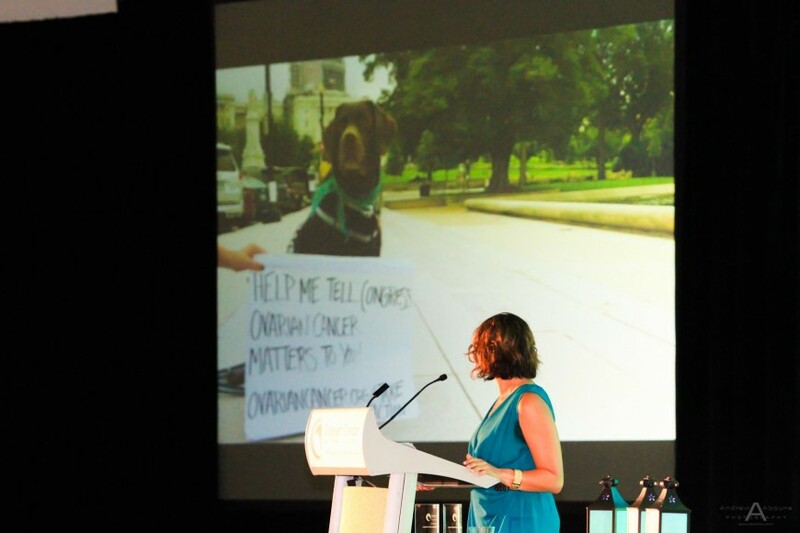 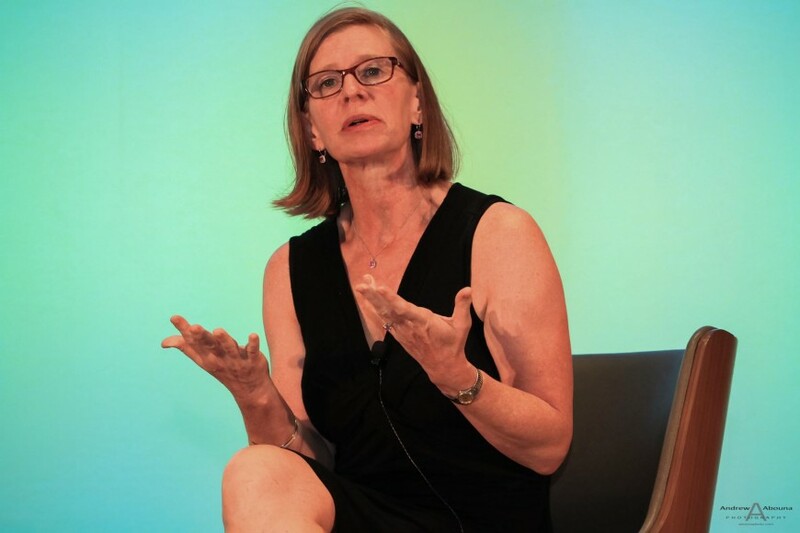 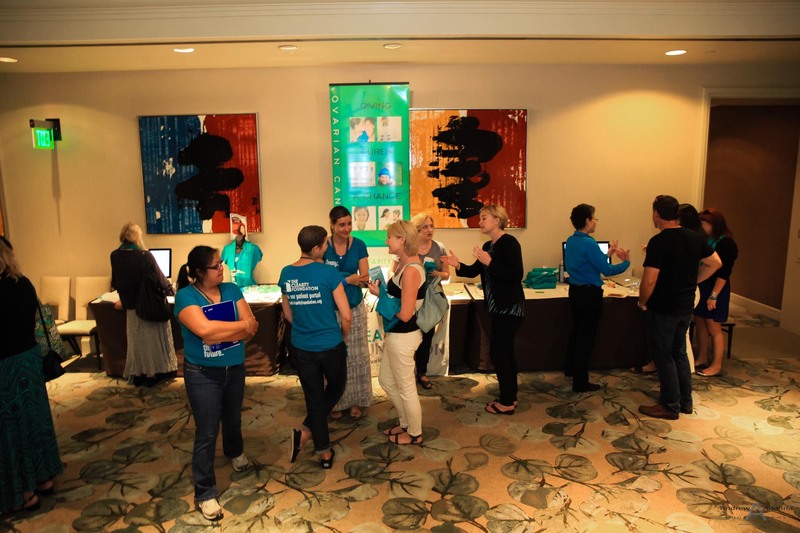 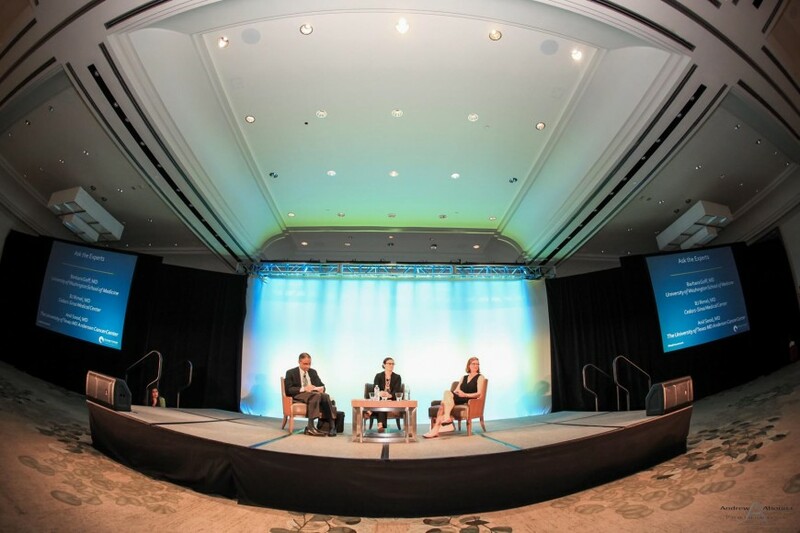 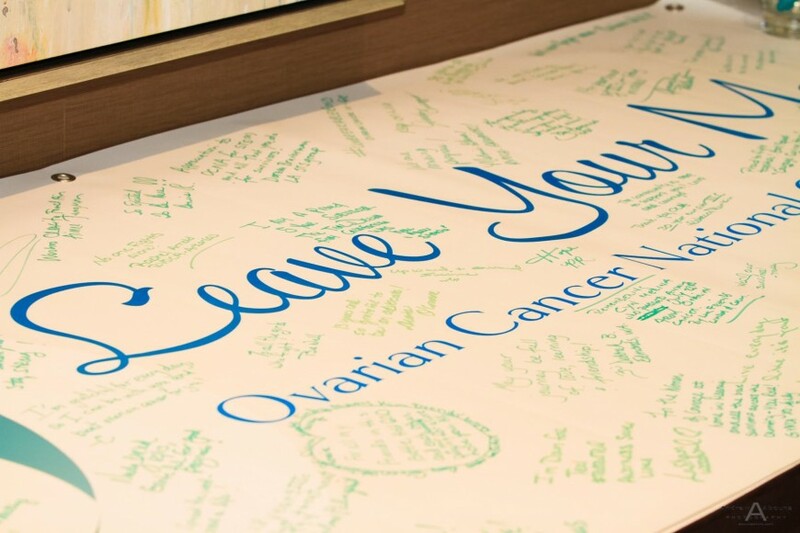 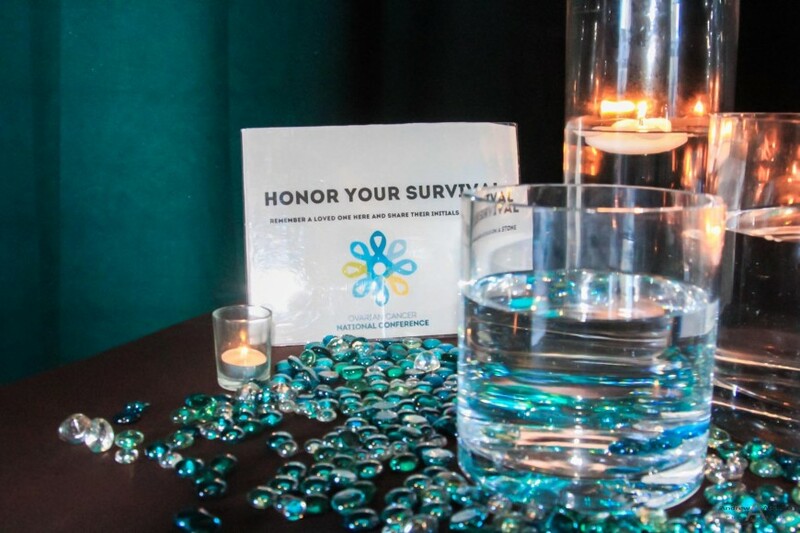 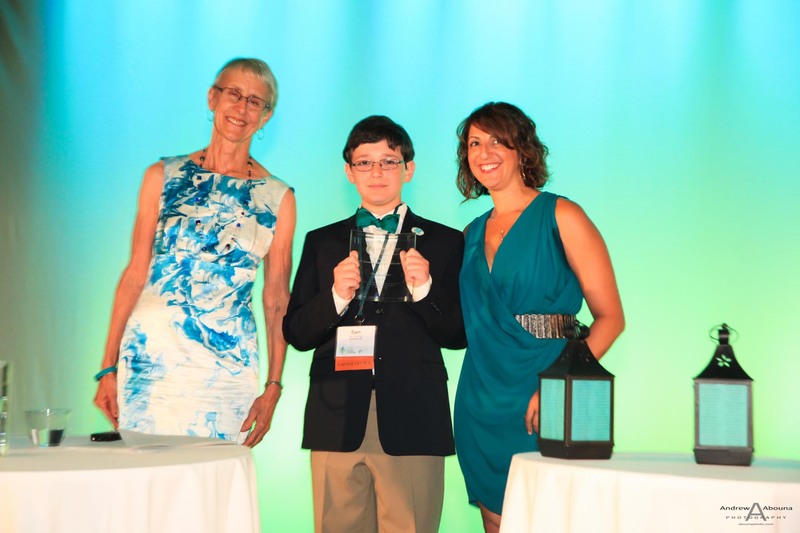 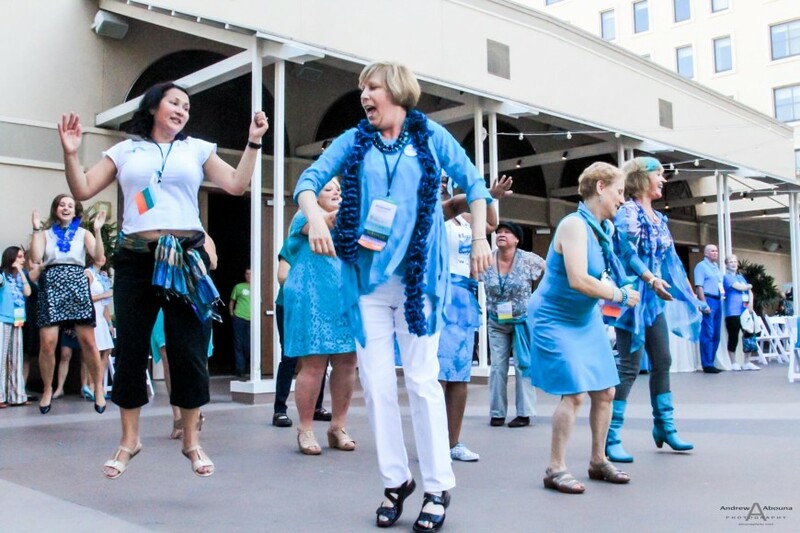 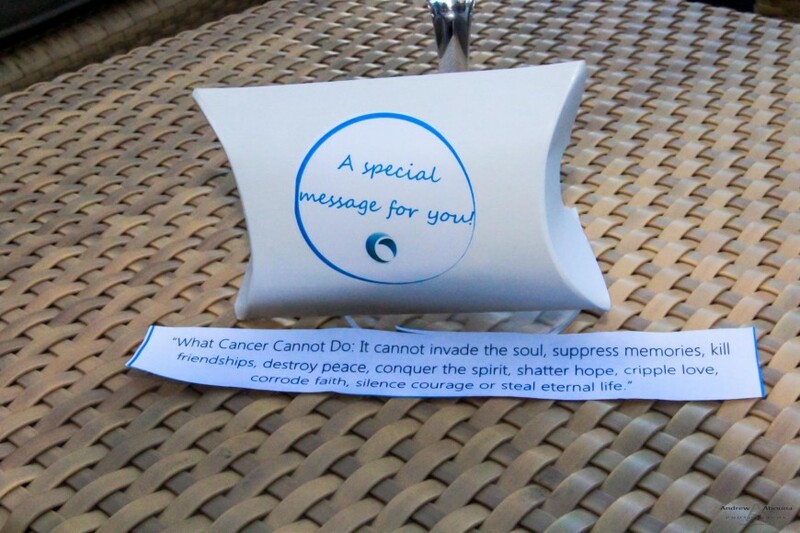 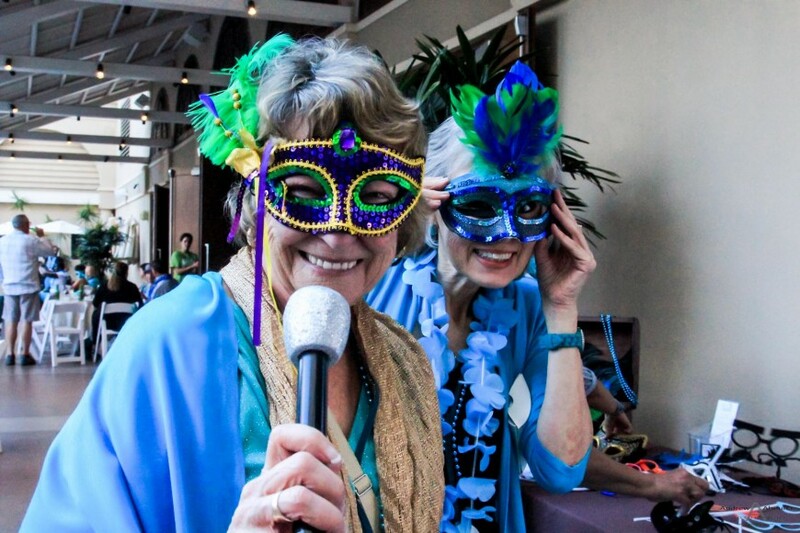 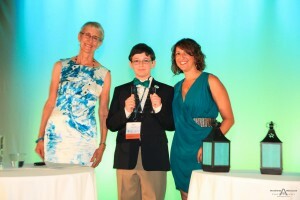 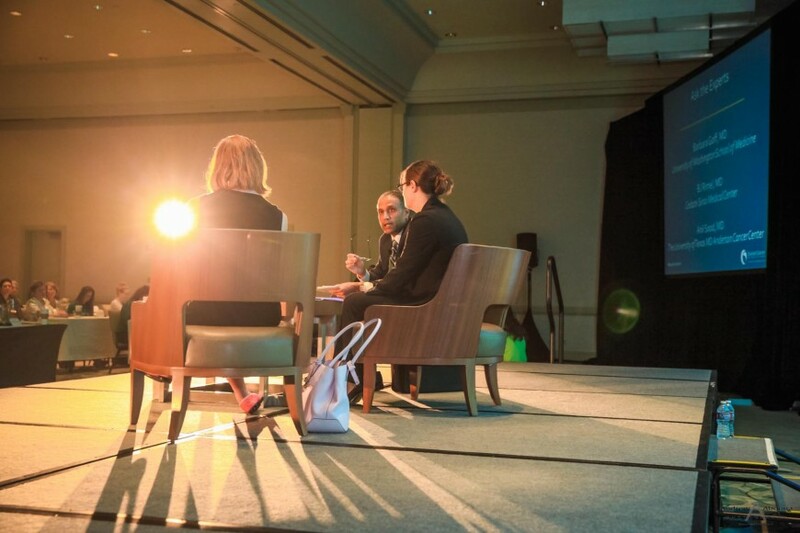 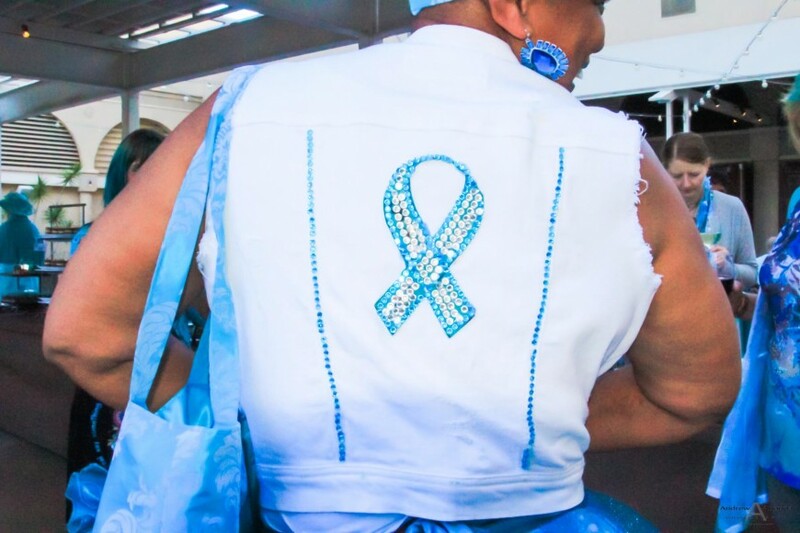 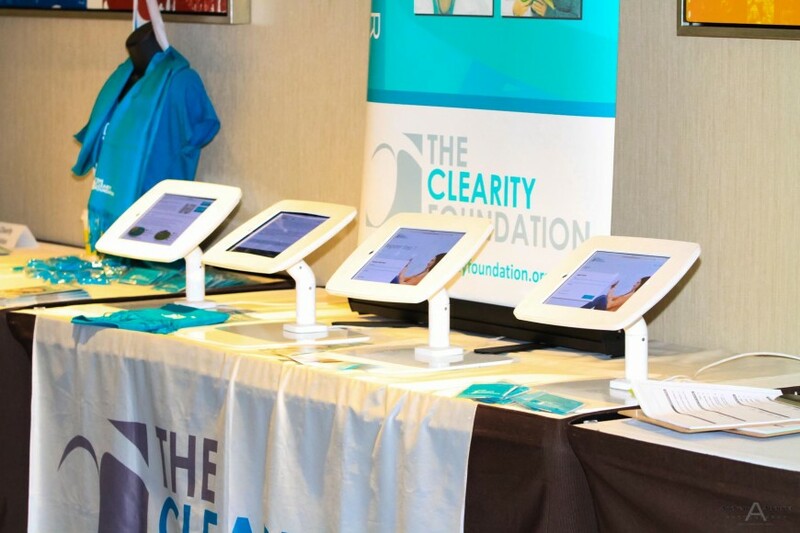 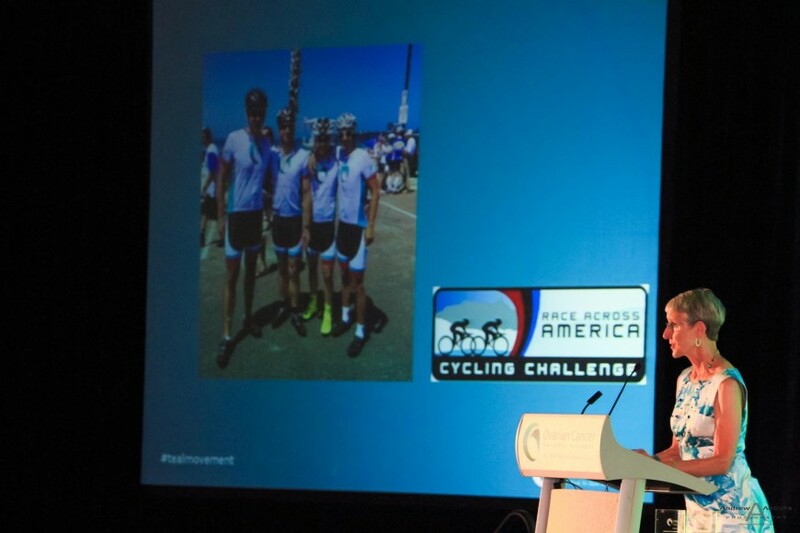 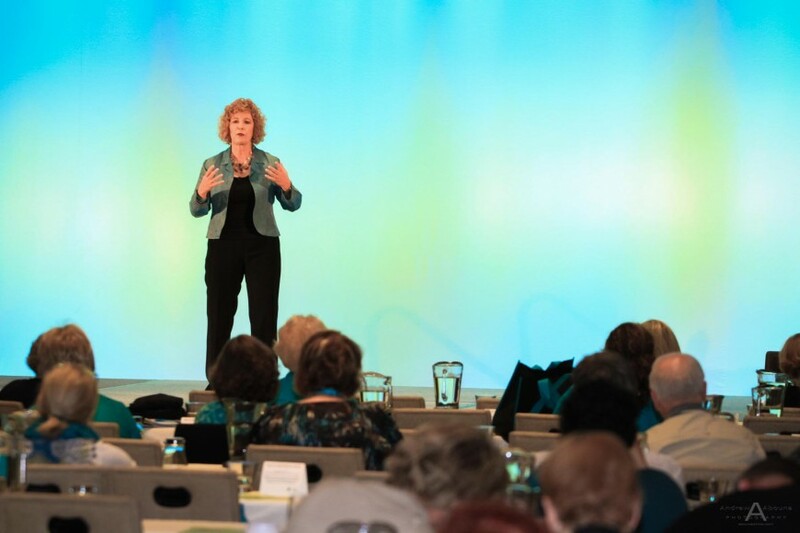 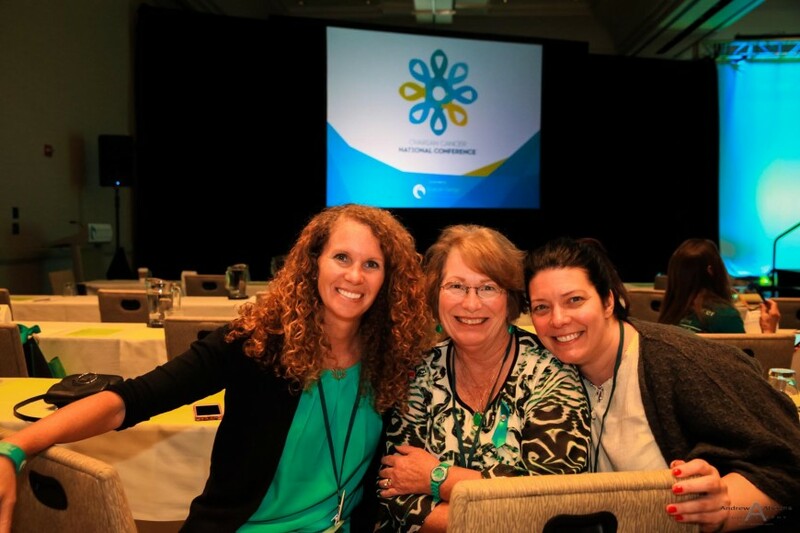 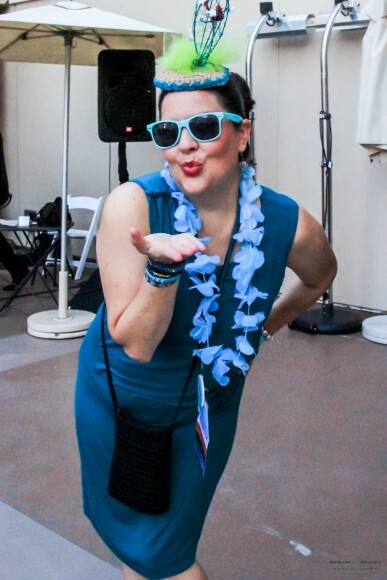 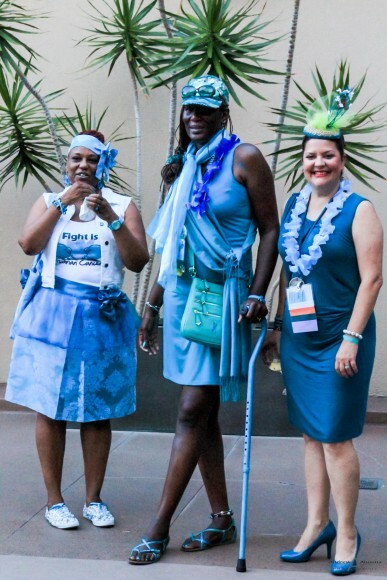 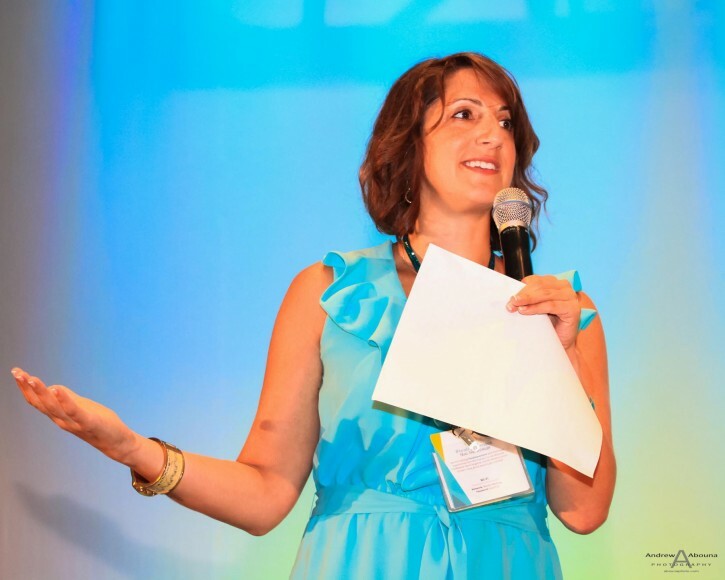 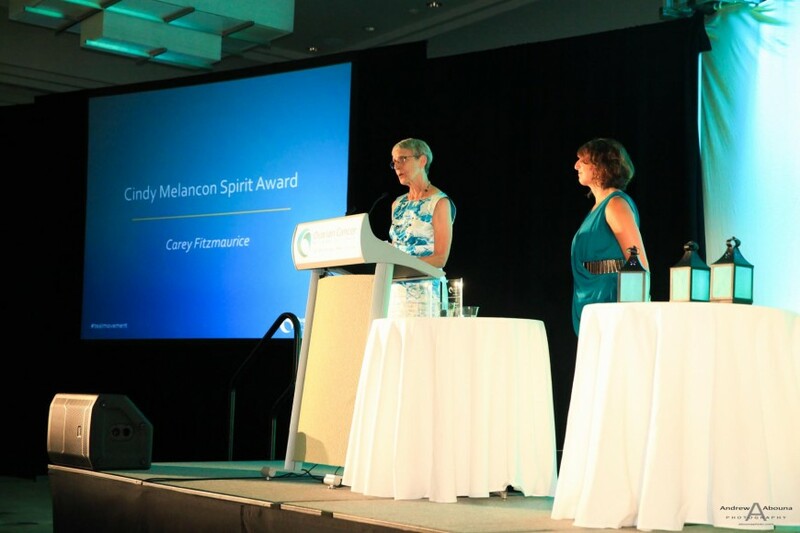 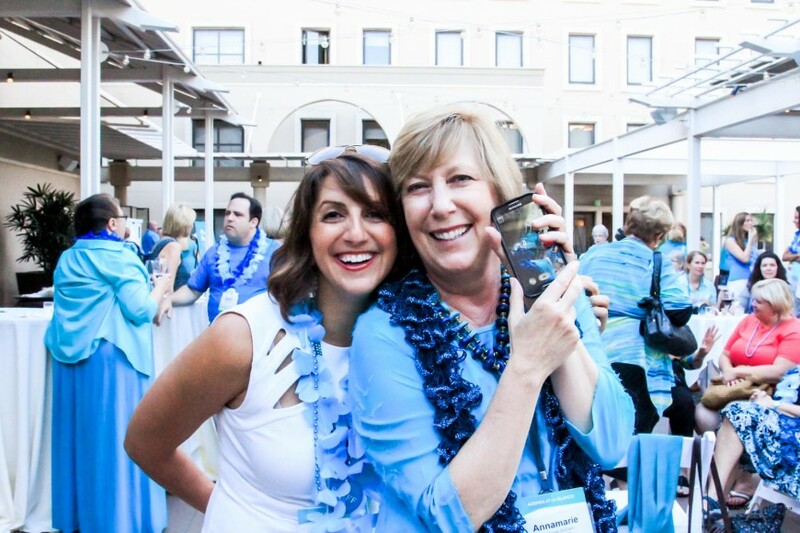 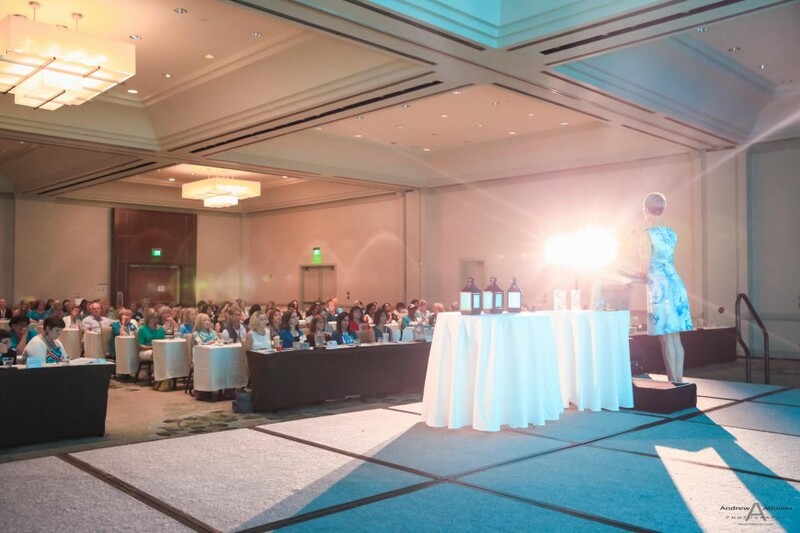 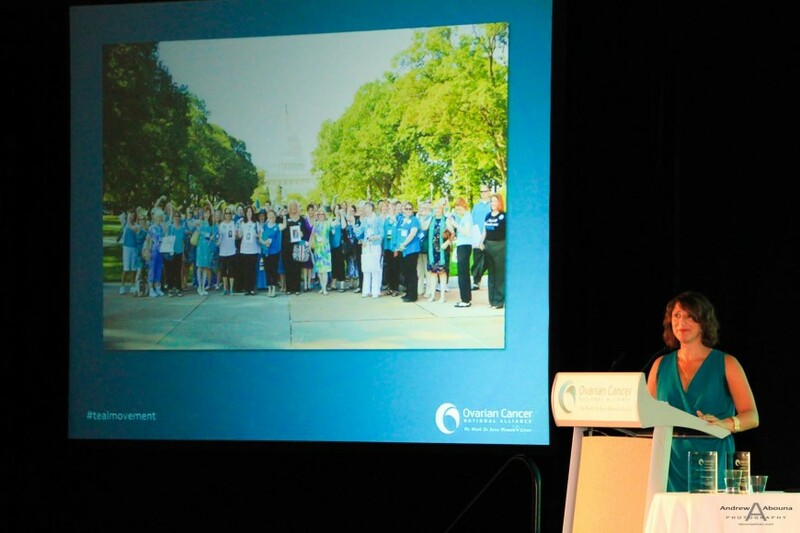 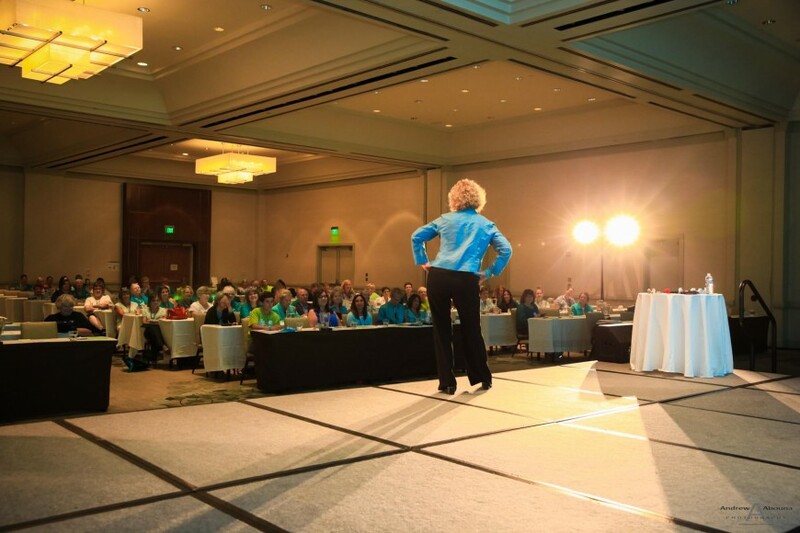 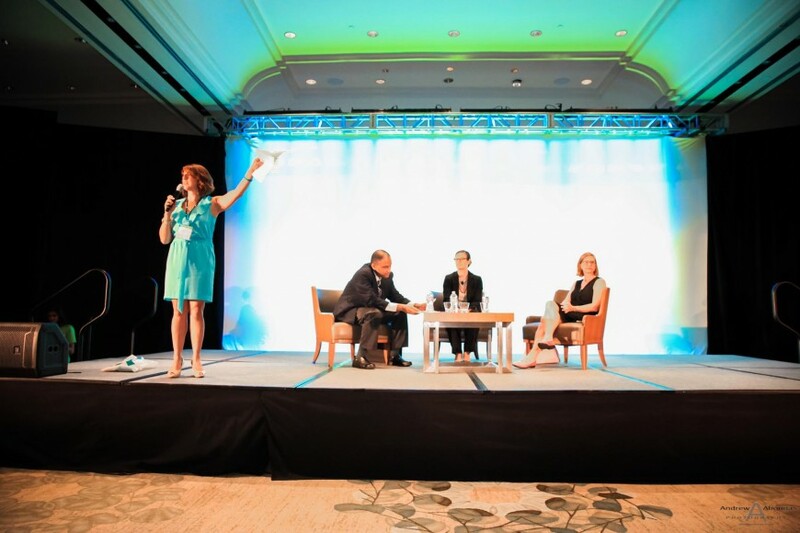 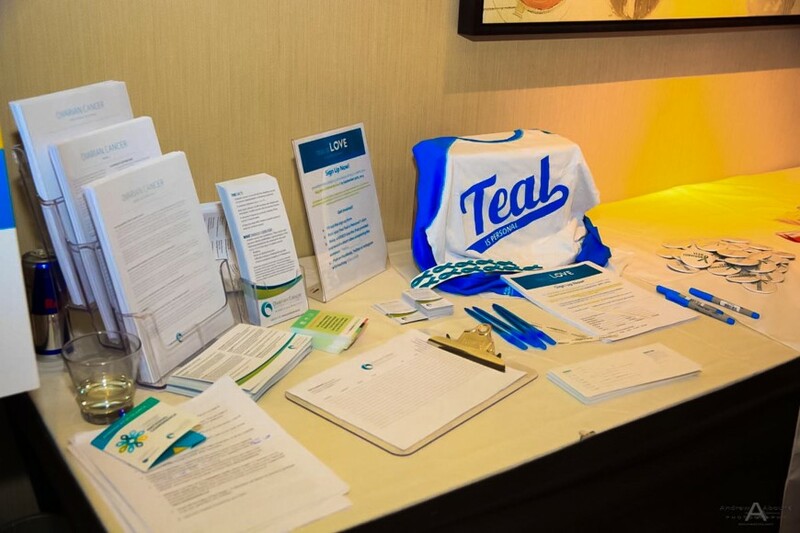 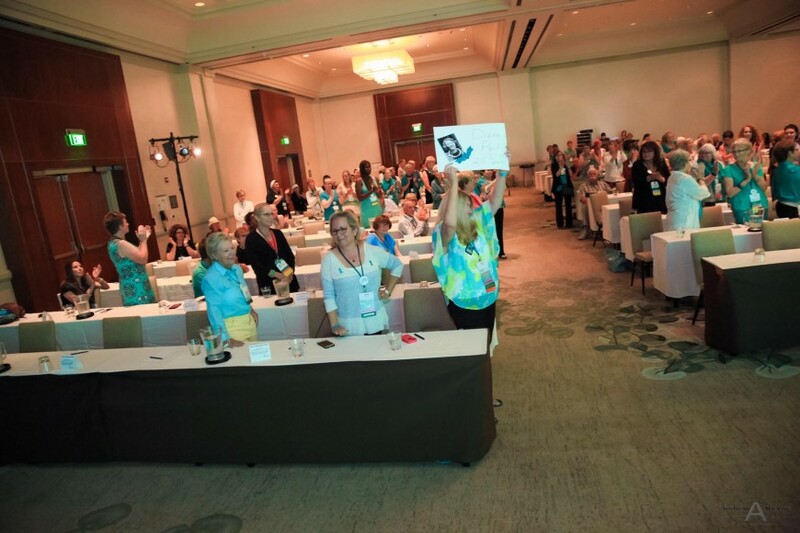 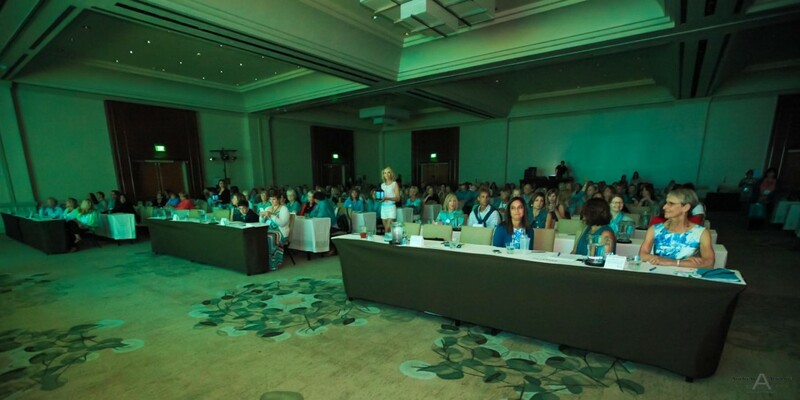 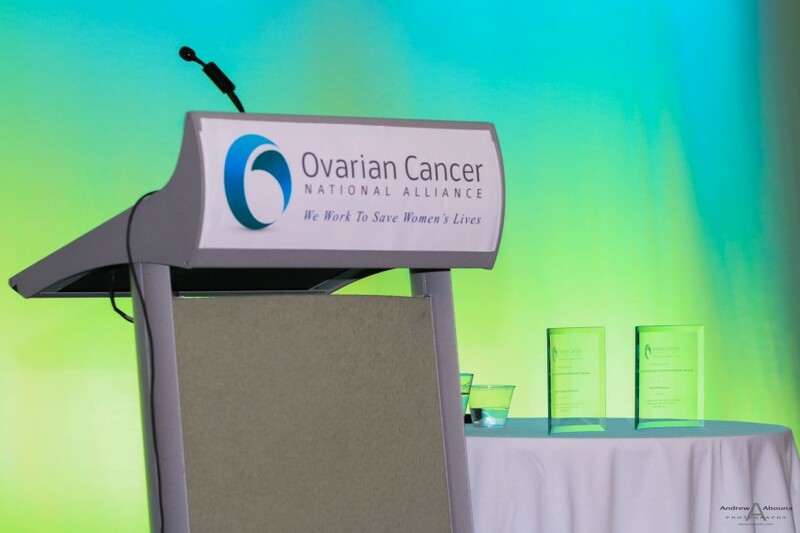 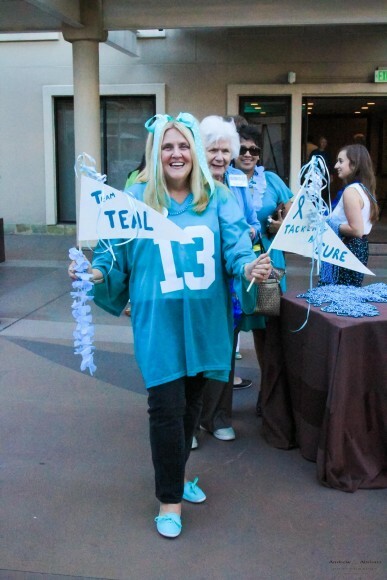 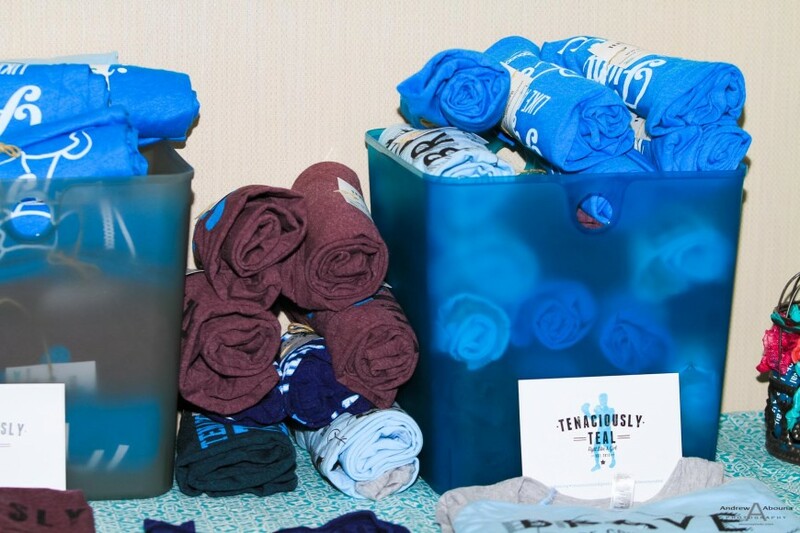 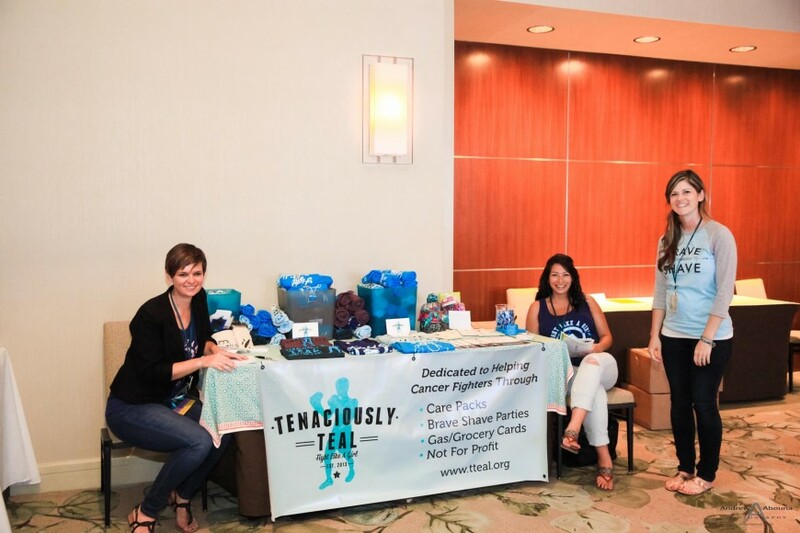 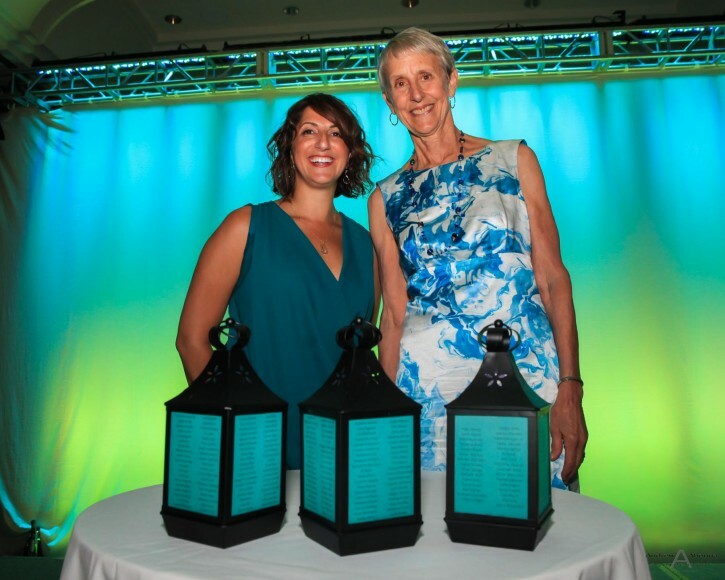 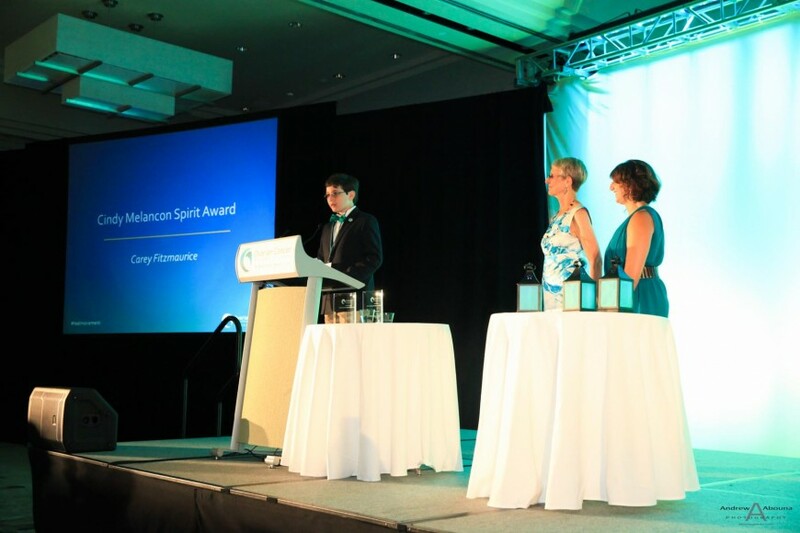 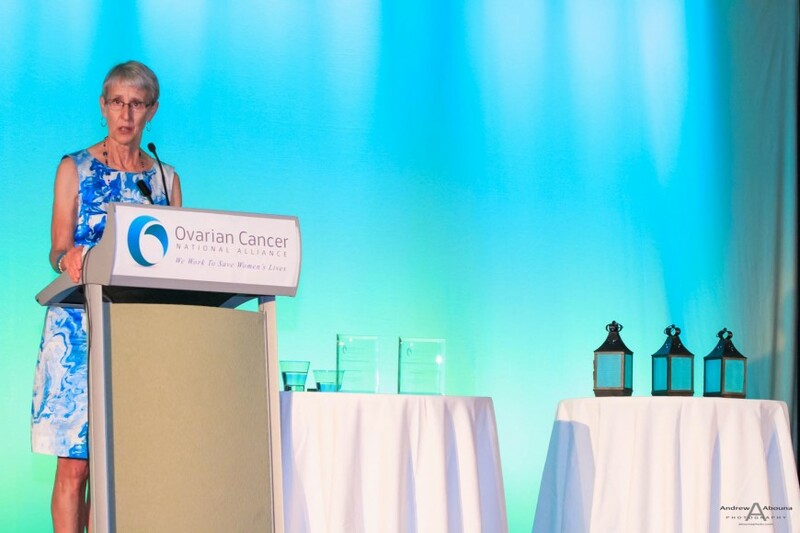 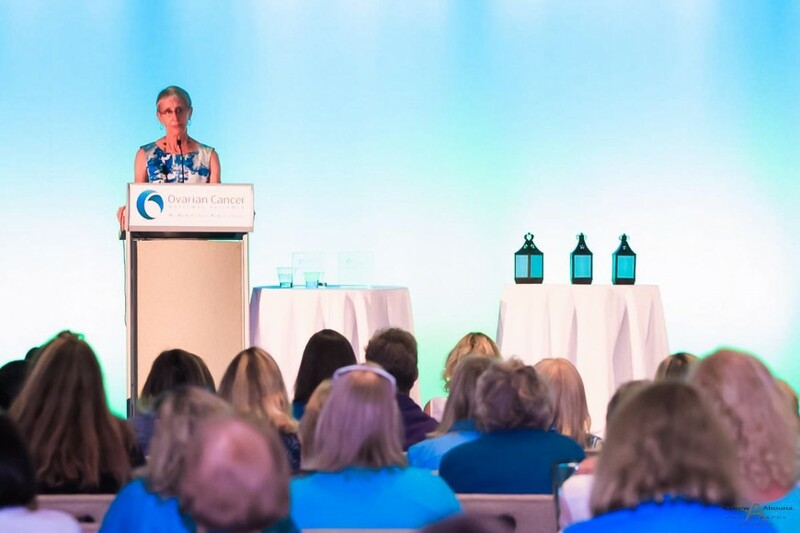 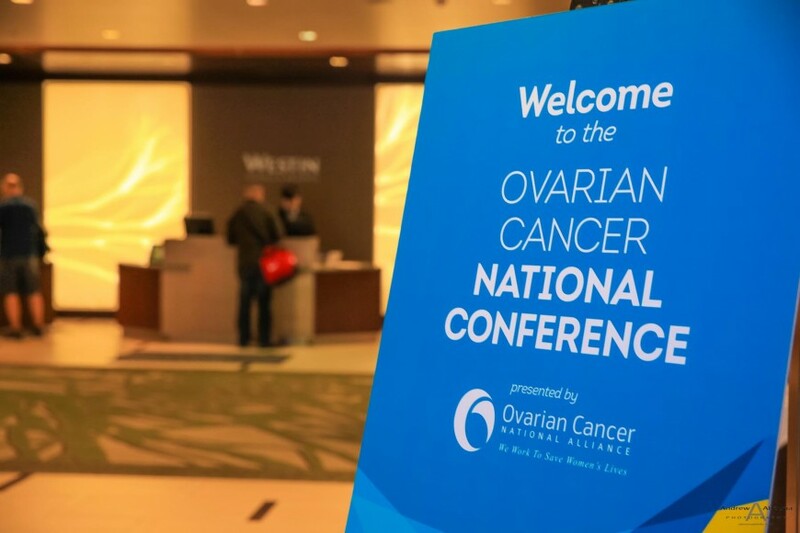 The 2015 Ovarian Cancer National Conference, held at the Westin San Diego Gaslamp Quarter, was a 3-day event filled with inspirational, informative and fun moments that my assistant and I were delighted to capture through conference photography. 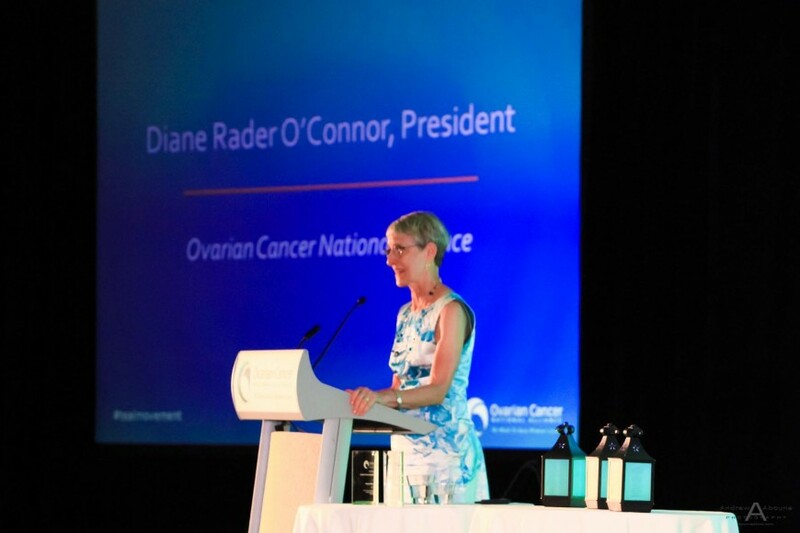 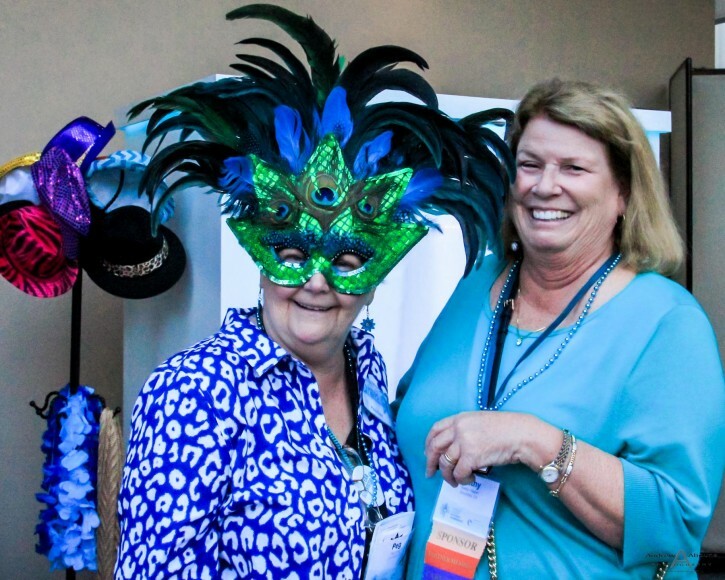 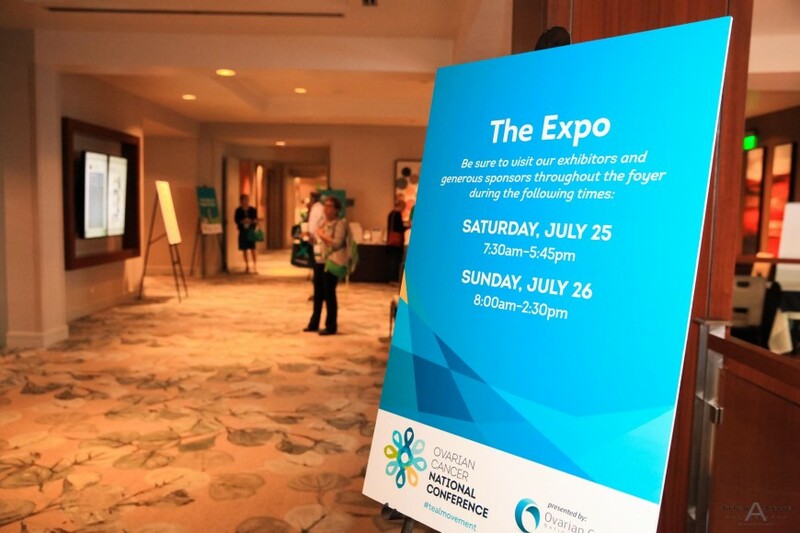 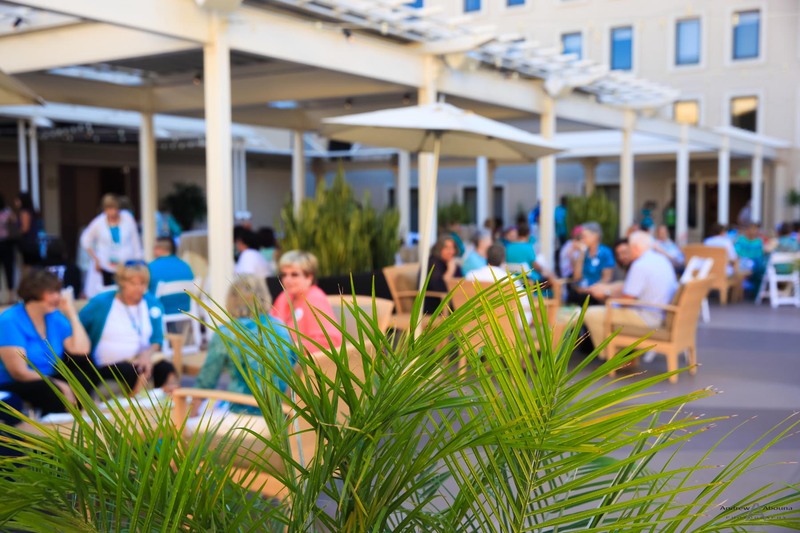 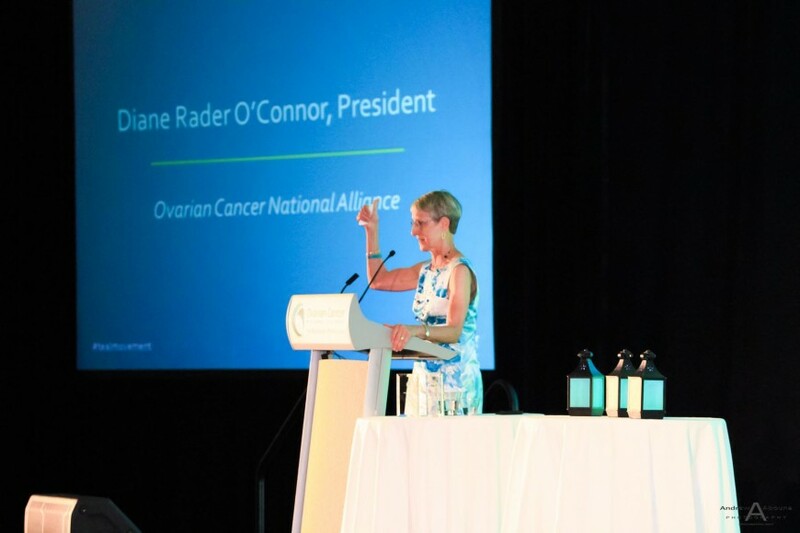 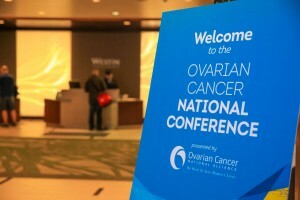 The multi-day conference photography began on a Friday with shots of a series of welcome receptions for different members of the Ovarian Cancer National Alliance community. 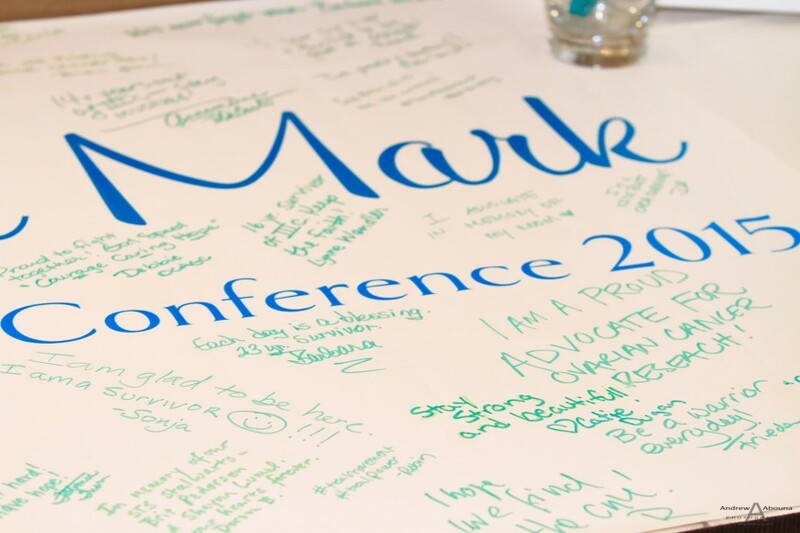 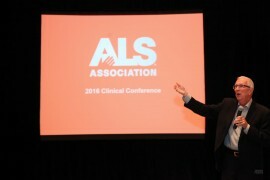 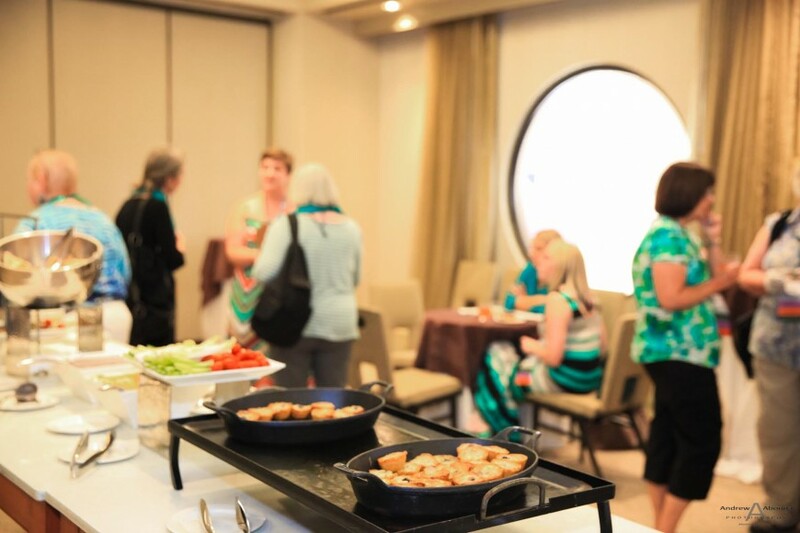 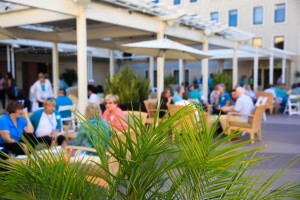 The conference photography captured the Newcomers Gathering, a session for first time attendees where newcomers were able to meet other survivors and caregivers in a casual relaxed setting, while also mingling with Board and Staff. 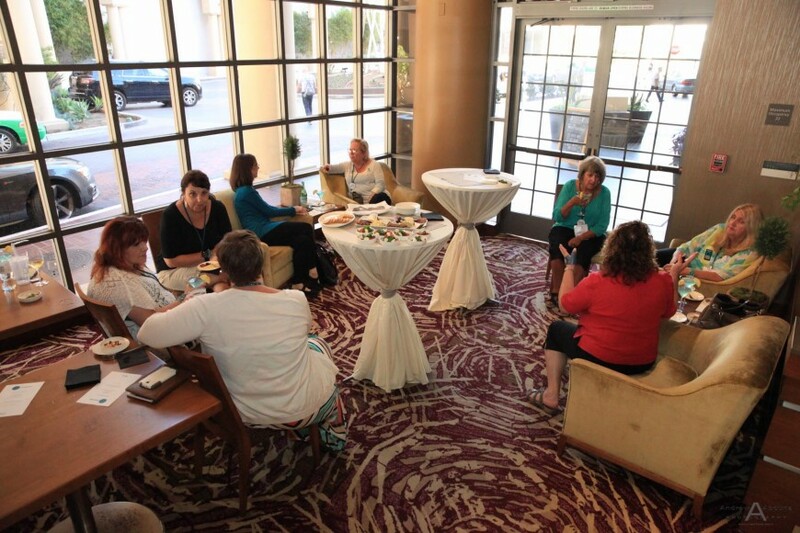 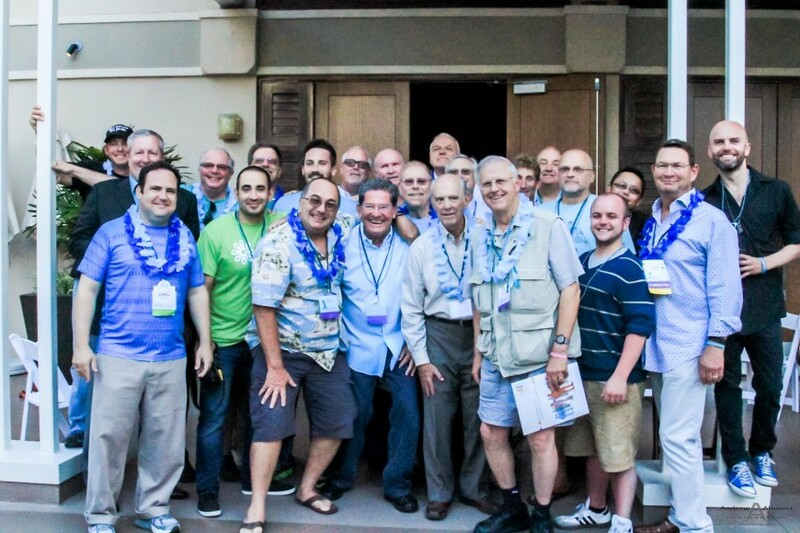 The second concurrent session we provided conference photography for was the Advocate Leaders’ Reception. 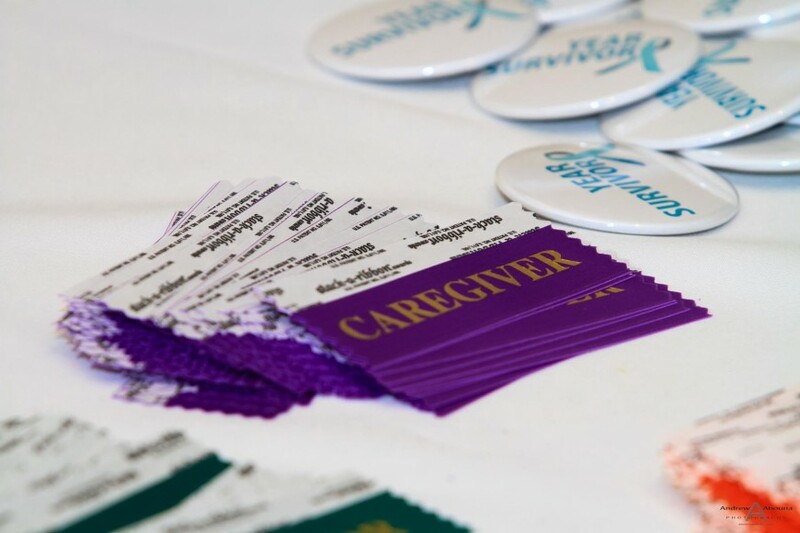 At this reception there were 25 members of the Advocate Leaders Program, a group of highly trained individuals who work at home and on Capitol Hill to further the Alliance’s policy priorities. 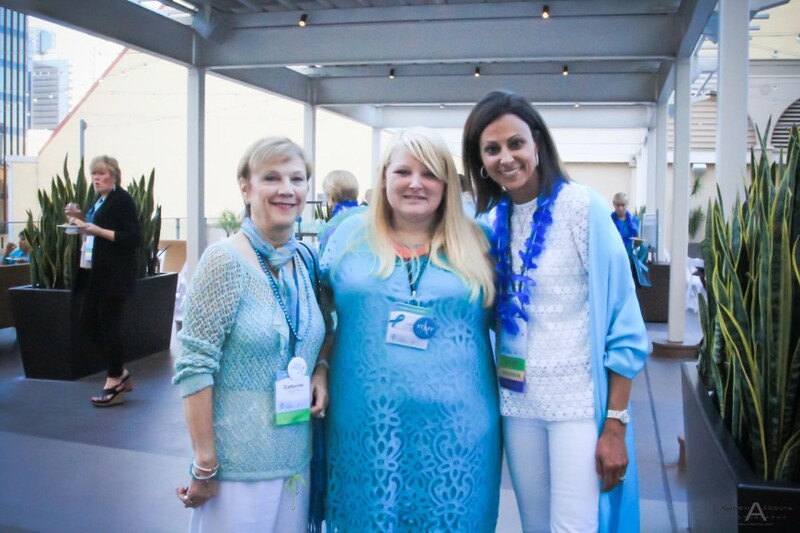 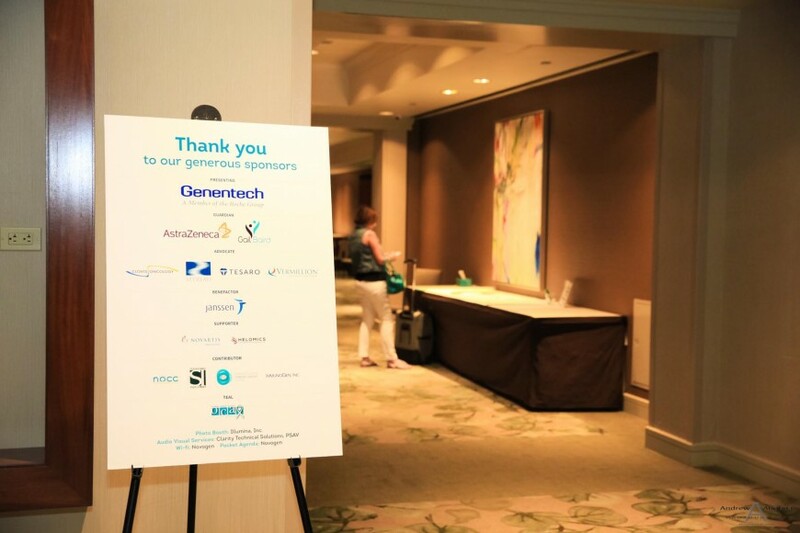 And the third session we photographed was the Partner Member Reception, which was a gathering of the 60+ Partner Member organizations that join with the Alliance to spread awareness of ovarian cancer and its legislative implications. 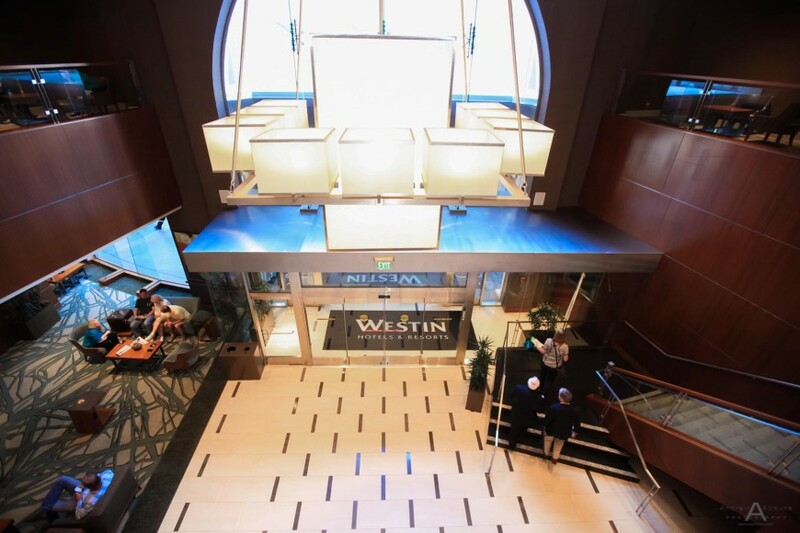 During the conference photography for the three receptions we also shot the Expo on the second floor of the Westin Gaslamp, as well as the Partner Member Marketplace on the 4th floor. 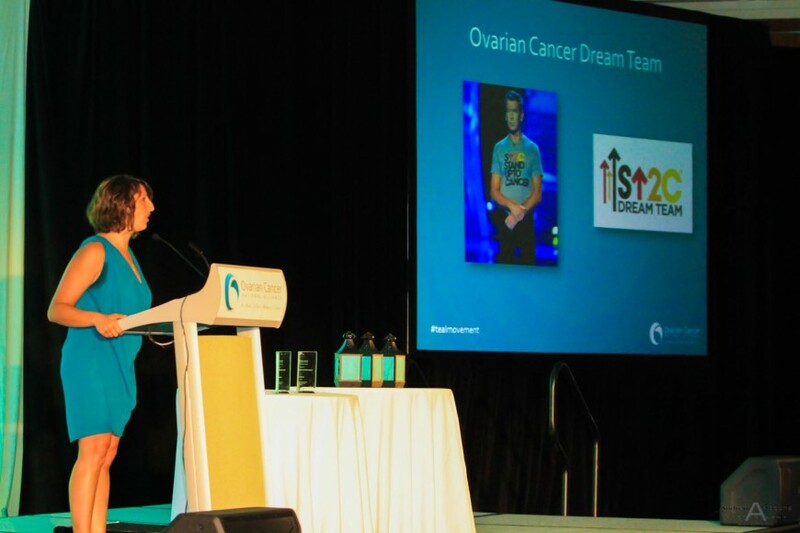 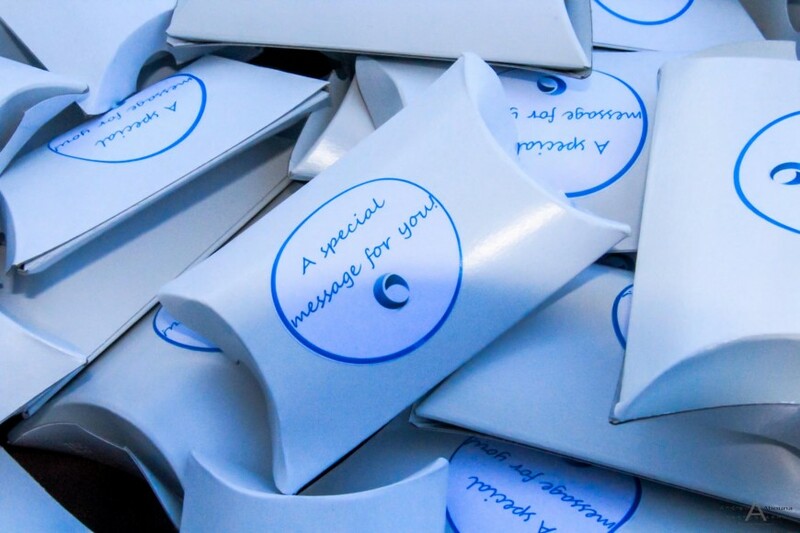 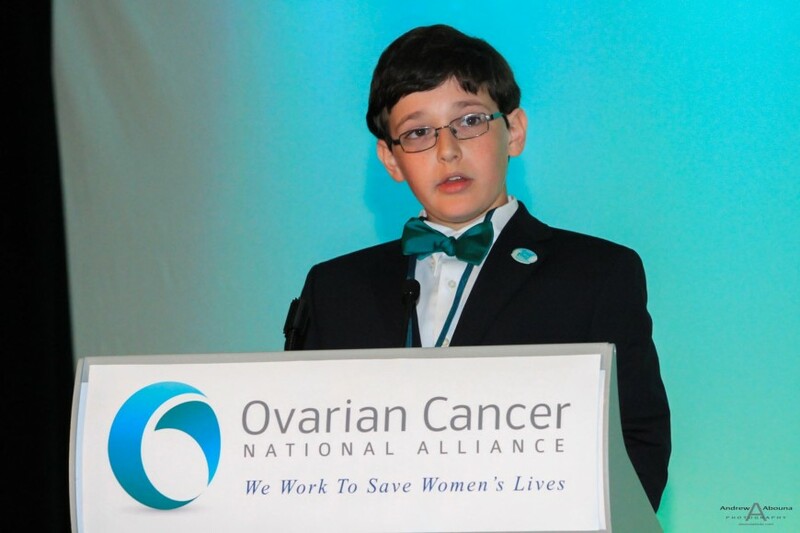 The shoot on Friday also included Opening Ceremony photography, the event which marked the official opening of the 2015 Ovarian Cancer National Conference. 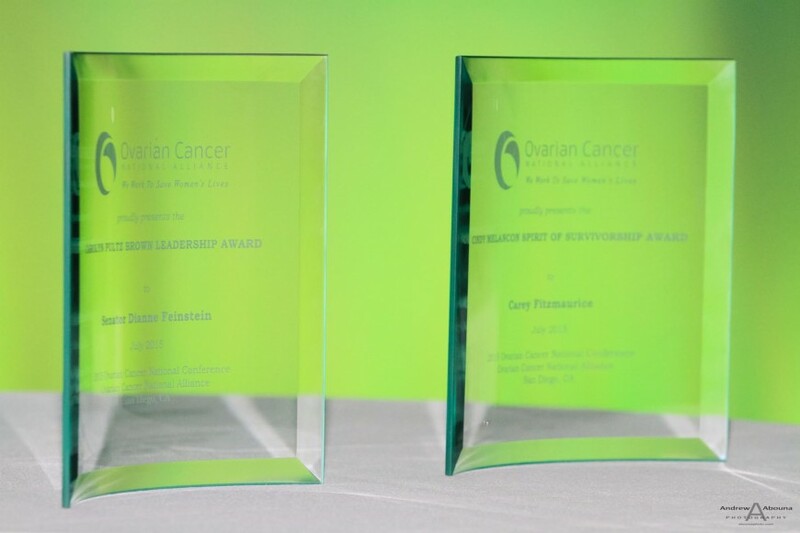 The photography captured some special attendees, remarks from the CEO and Board President, and the presentation of awards to two outstanding women in our community, Senator Dianne Feinstein and Carey Fitzmaurice. 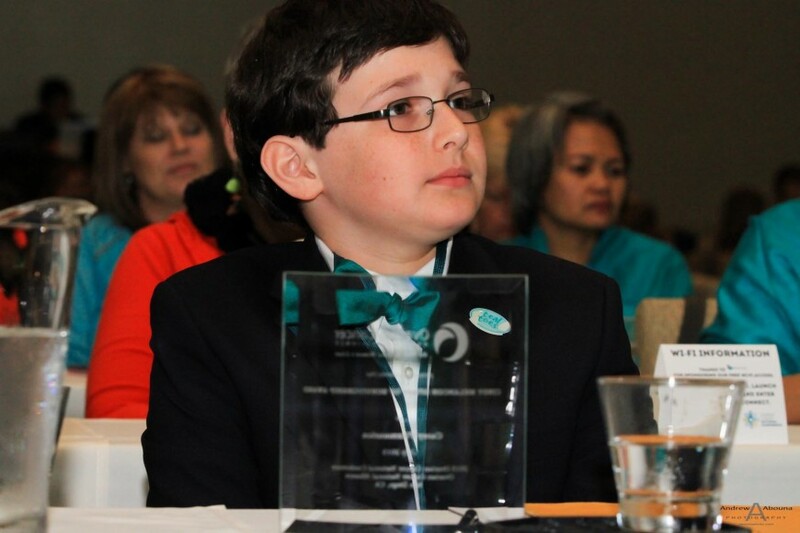 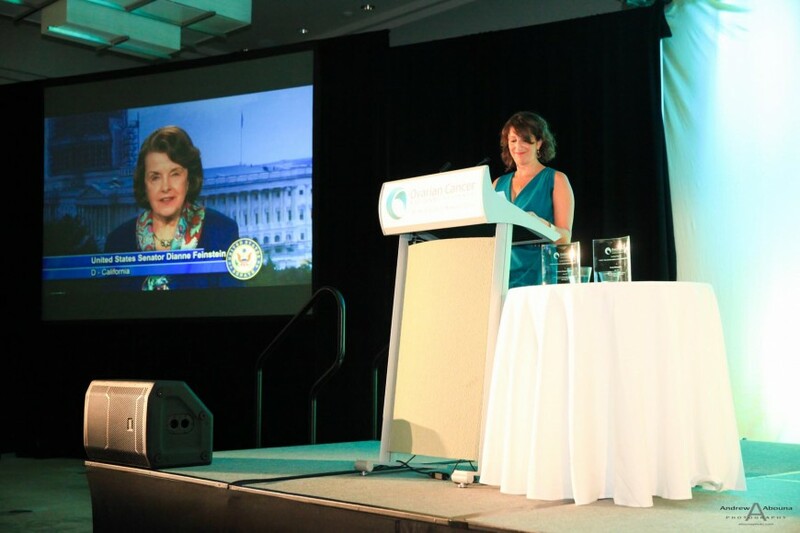 Senator Feinstein accepted her award through a recorded presentation, while Ms. Fitzmaurice’s was award earlier in the year before her passing, but her young son was present to accept and speak on her behalf. Saturday’s conference photography included candid shots of the breakout sessions attendees and speakers. 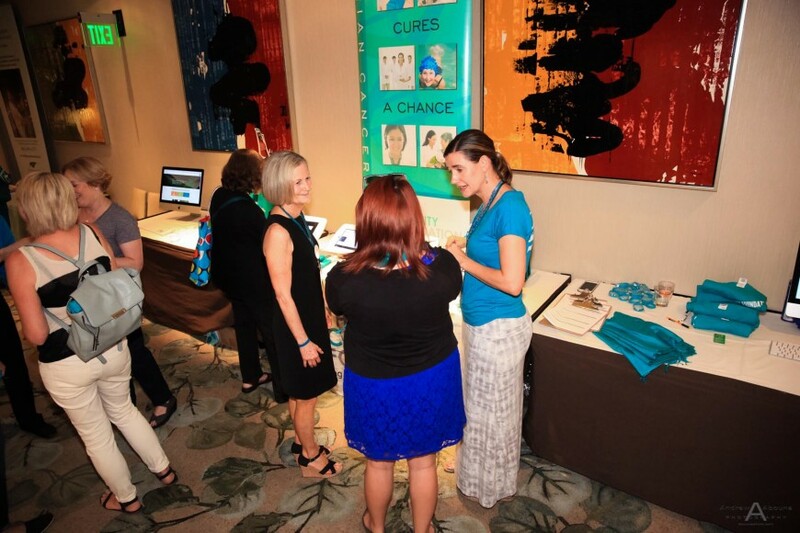 Shots were also made of attendees interacting with one another and the exhibitors. 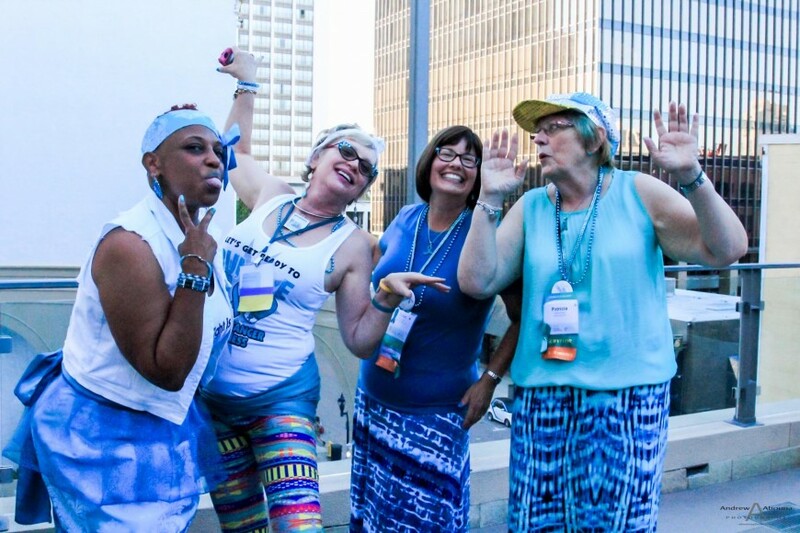 The conference photography also captured the evening party ‘Honoring Your Survival’ on the Garden Terrace at the Westin San Diego. 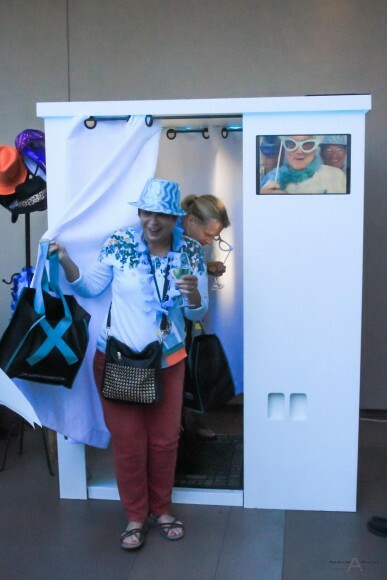 Shots included the attendees at the party, the photo booth, dancing, and venue. 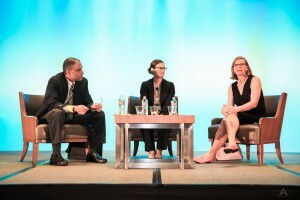 The third day of conference photography centered on capturing the ‘Ask the Experts’ session, which was held in the same ballroom as Friday’s Opening Session. 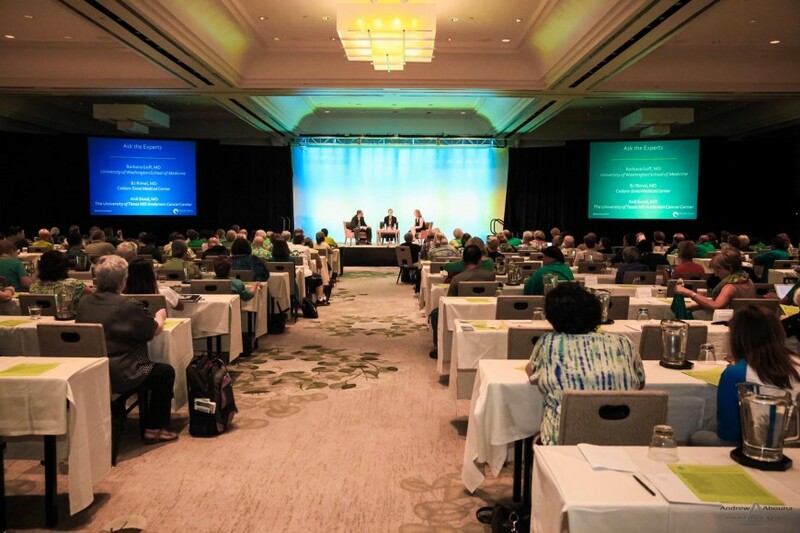 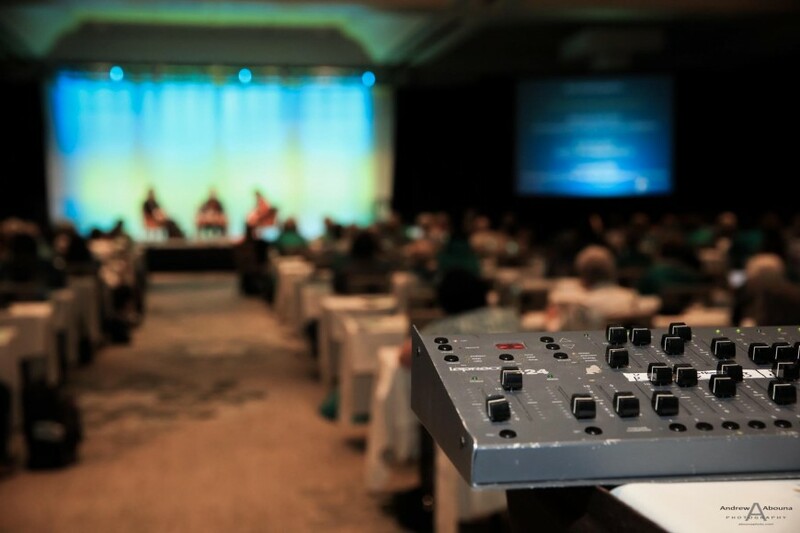 In this session, three experts in gynecologic oncology from some of the country’s top institutions were available to answer audience questions. 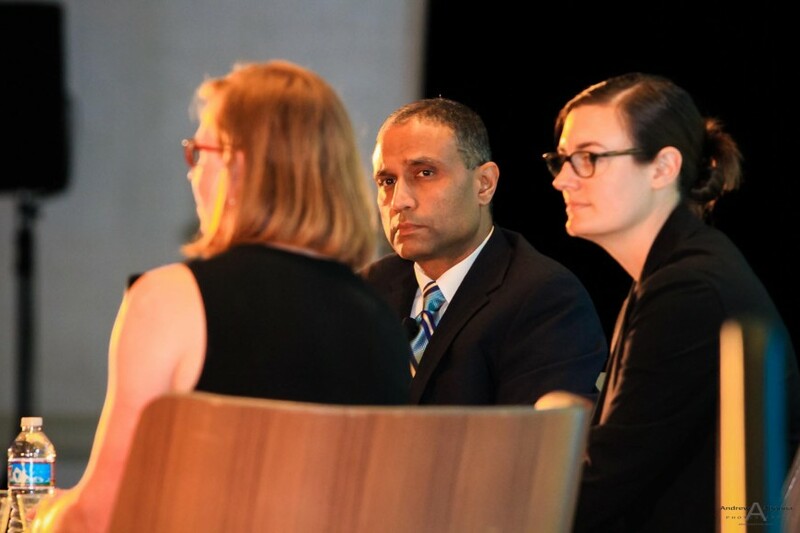 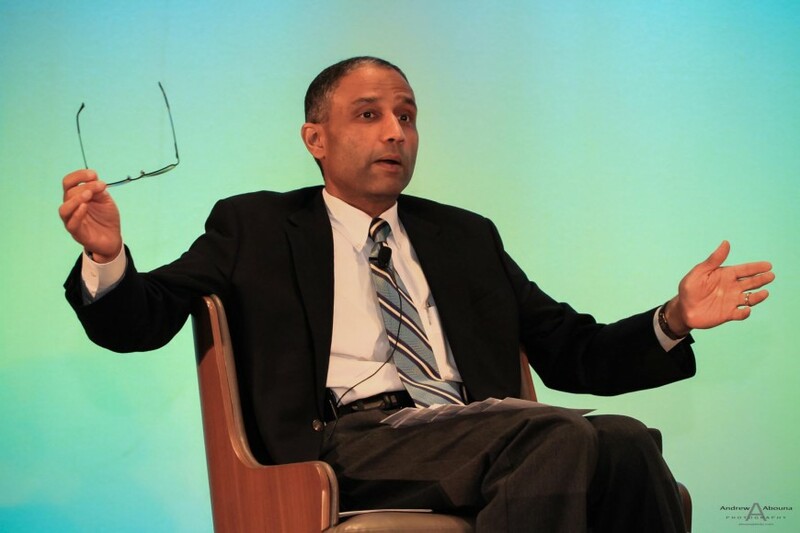 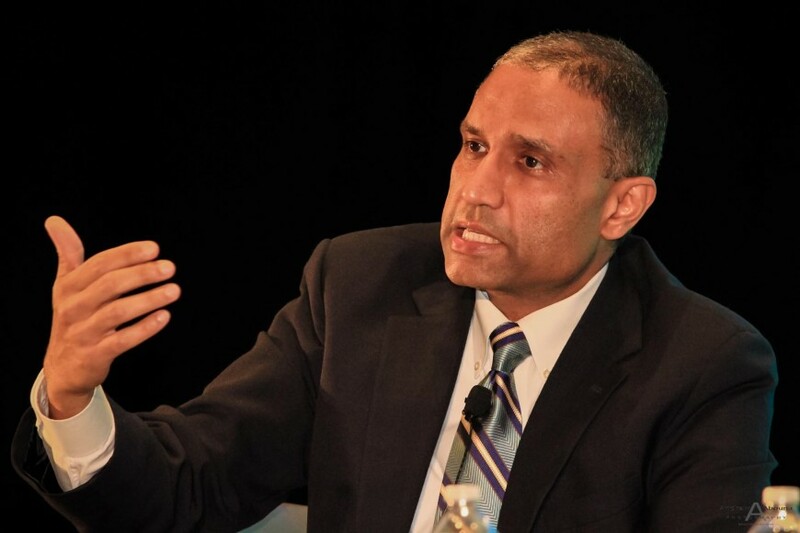 The experts included Anil Sood, MD of The University of Texas MD Anderson Cancer Center, Barbara Goff MD of University of Washington School of Medicine, and BJ Rimel, MD of Cedars-Sanai Medical Center. 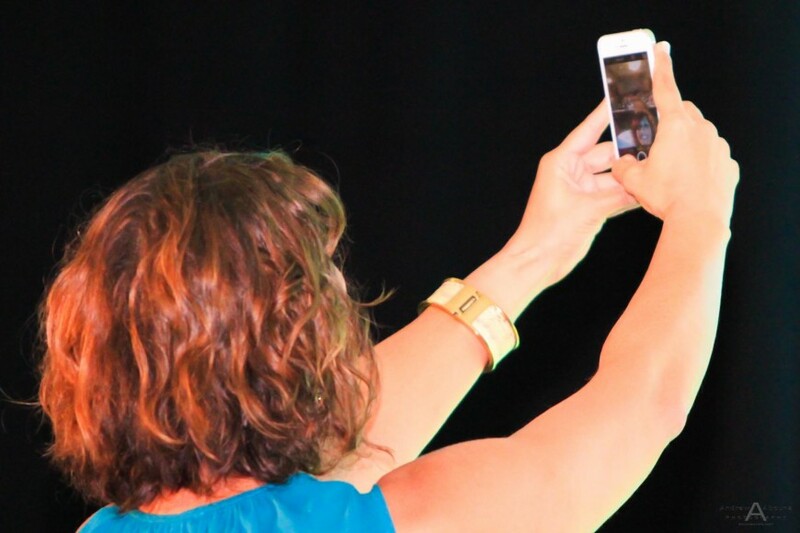 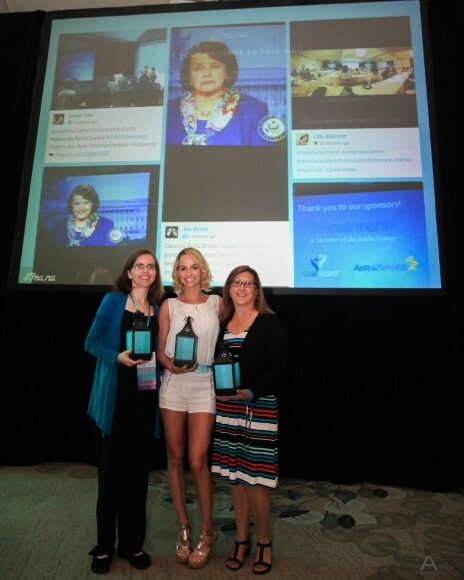 Following the panel discussion, the conference photography captured motivational and keynote speaker Karyn Buxman. 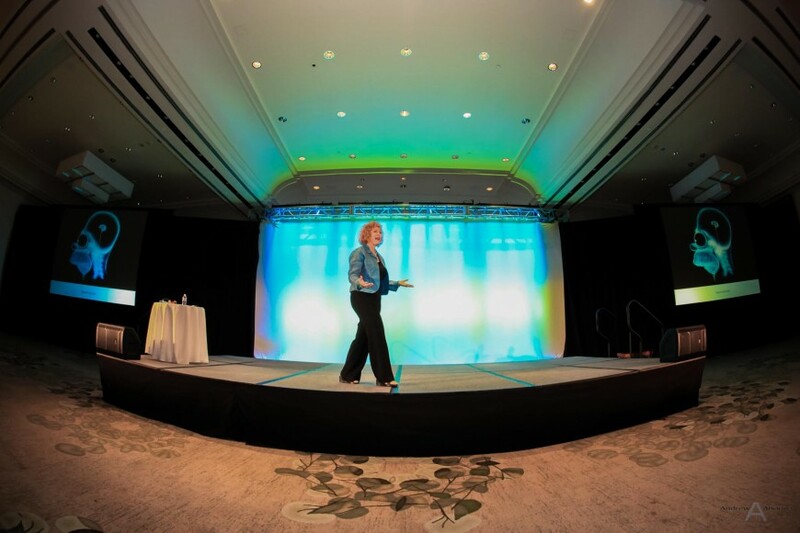 Ms. Buxman provided a wonderfully informative, uplifting animated presentation, and this helped make for some great conference photography. 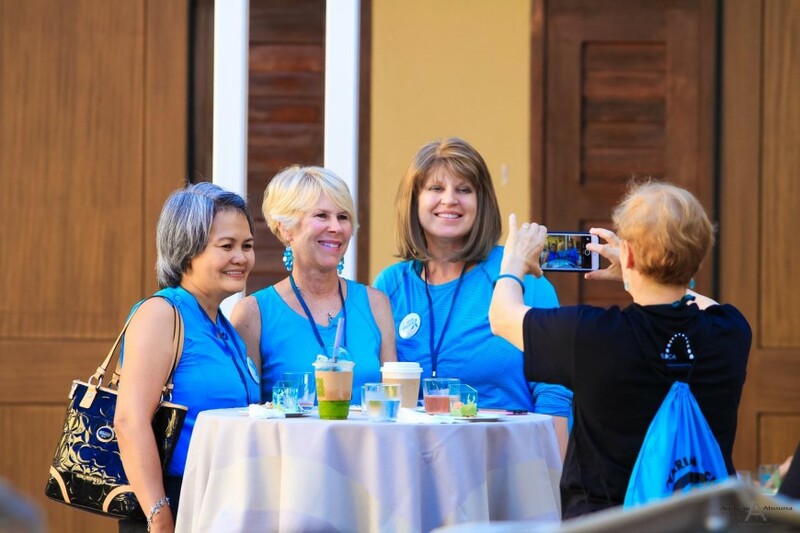 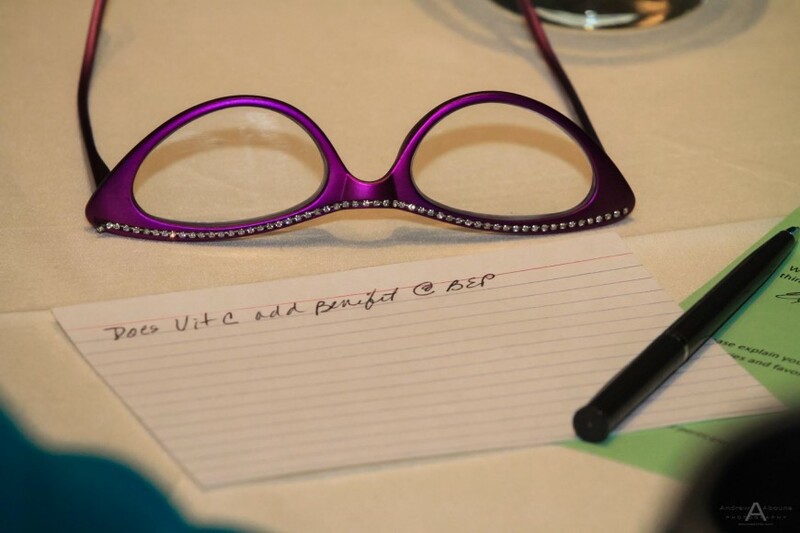 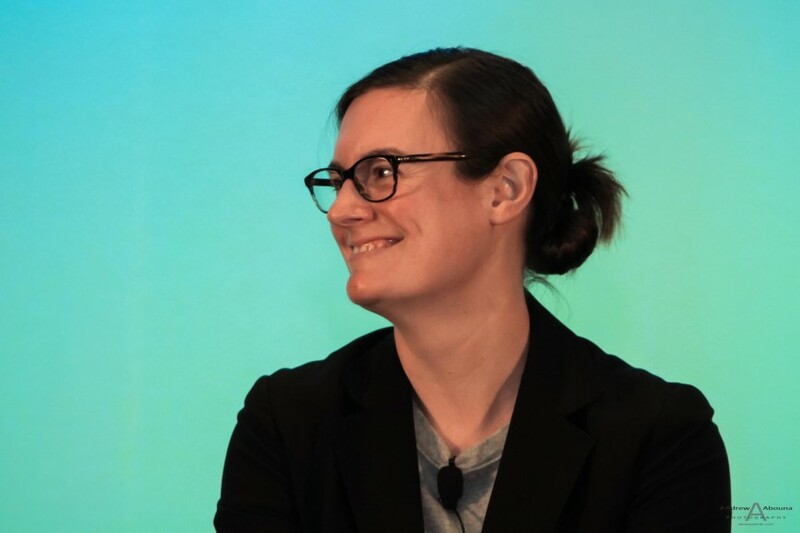 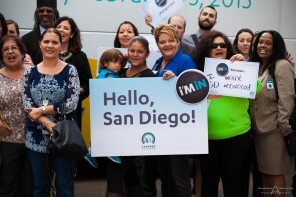 In addition to my event photographer favorite photos on this page from the Ovarian Cancer National Conference photography, you can also see all of images we captured at San Diego Event Photographer Client Galleries (password required). 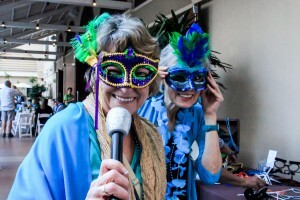 And for more information about event photography please contact me.